October 31 marks Halloween, popularly celebrated with trick or treating, pumpkins, costumes, scary stories, and creepy, crawly, undead, slimy creatures emerging for a frightful haunt. But have no fear, after all, monsters aren’t real…right? Have you ever wondered why ghosts like to play tricks, how to fight a vampire, how long dragons live, or why people became afraid of witches? In the Lerner Digital Interactive Books series “Monster Buddies,” you will learn more than you ever thought possible about monsters. From a friendly ghost named Pablo to a zombie named Roscoe, every book in this series features a fictitious creature with only one desire: to tell you allabout themselves. In the “Monster Buddies” books, authors Shannon Knudsen and Lisa Bullard create a world where monsters aren’t so scary. Each creature begins their story by ensuring the reader knows there is no such thing as ghosts, zombies, witches, aliens, mummies, dragons, vampires, or werewolves. Readers given the chance to learn all about the monster telling the tale as well as the different variations and origins of the monsters that exist throughout the world. LernerDigital Interactive Books are designed to help readers gain confidence and improve their literacy skills. Readers can follow along with the narrator through highlighted text with a choice of three speeds of audio. With “Monster Buddies” colorful illustrations and interactive design, exploration of the text is encouraged through a glossary, quizzes, and activities. Readers are given a uniquely exciting experience! 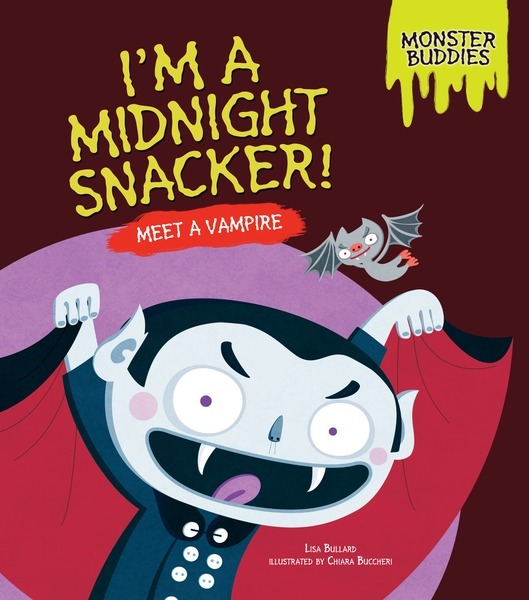 This Halloween, before trekking into the dark night, explore “Monster Buddies” Interactive Books and make friends with all of the creepy Halloween creatures!